Meet Brett Hart, a mechanic at Blackfoot Motosports Calgary, Canada who went to Iwata, Japan for the Yamaha Technician GP. 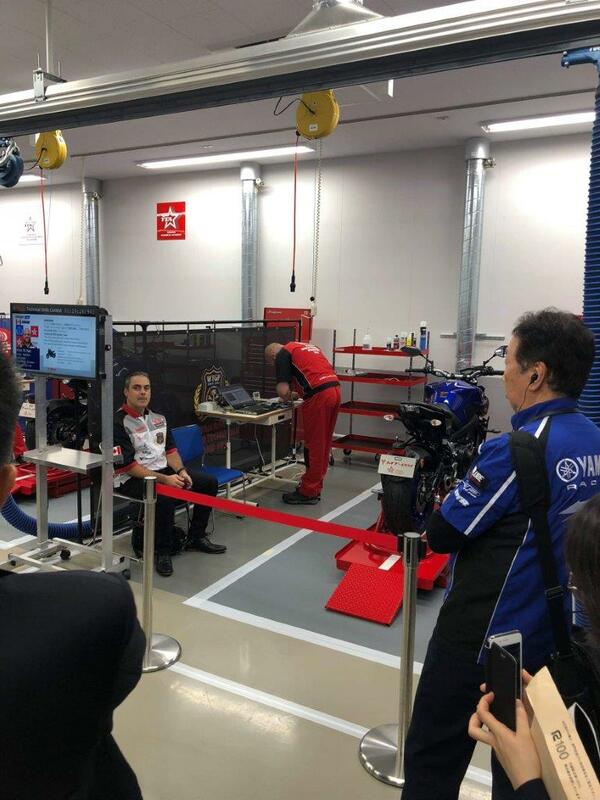 It was a long road, a lot of work and determination that lead to our very own (residing in Calgary, Alberta, Canada) local motorcycle mechanic, Brett Hart, to win the 2018 Yamaha World Technician Grand Prix in Iwata, Japan. I met up with Brett and his girlfriend Jordan for a beer when they got back to chat about his experiences and the path to becoming a champion in the technician world. A down to earth guy, growing up in the east coast, he was up (and still is) a fairly quiet person that is definitely not used to being in the limelight. He is a hard worker, very meticulous and everything is very well thought out – it’s no surprise that he came out on top. It was between his work ethic and that his girlfriend Jordan keeping him focused on studying and working towards winning is what brought him to win the world championship. In school, he thought about becoming a doctor, but a change of mind and a love of motorcycles brought him to want to work in the industry. His mentor, Ryan Peddie is a motorcycle mechanic I worked with in Pro-Am Motorsports years ago – and he was the inspiration behind Brett wanting to challenge himself and push himself to win. I could definitely see why he was inspired as Ryan was always focused on work and very serious about it too. Ryan eventually left Pro-Am and started working for Seitzco Motorsports out in Okotoks and this is where he met and took Brett on as an apprentice.